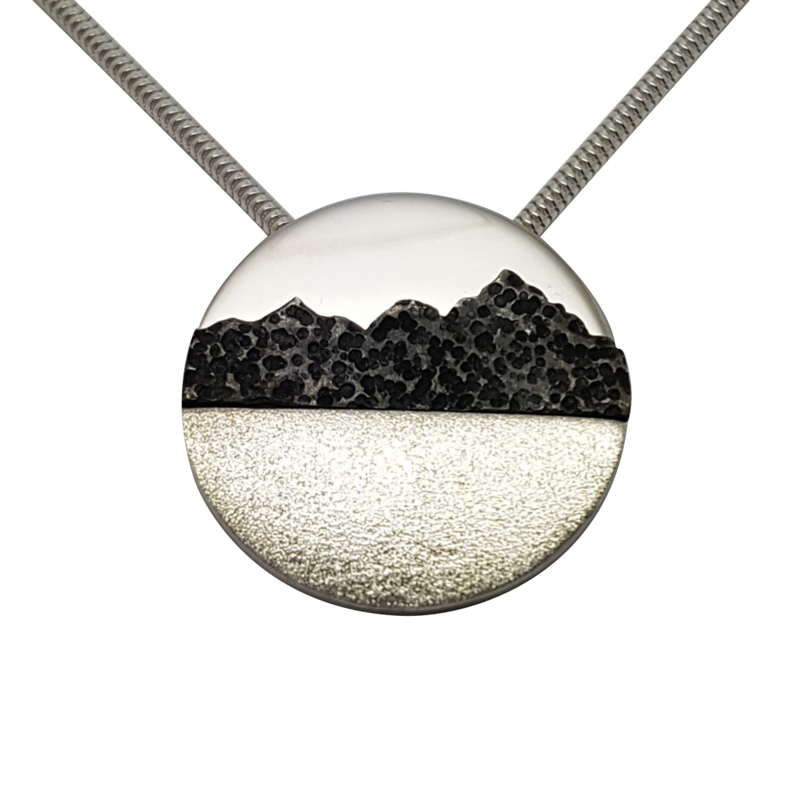 Our ‘Skye from the Sea’ pendant features a snapshot of the Cuillin mountain range and is made from Sterling silver exclusively by Love from Skye on the Isle of Skye. Using the options above, you can choose to have your Skye from the Sea pendant made with the feature of 9ct gold, 9ct rose gold or 18ct gold mountains. (With these options, the disc holding the mountains and the chain are made from Sterling silver, with the addition of the gold mountains). Alternatively, your necklace can be made from Sterling silver only. This pendant design incorporates 3 different finishes within the piece – a bright, polished sky with a twinkly, frosted-finish sea and textured & oxidised (darkened) silver mountains or textured gold mountains. Our Skye from the Sea pendant is a luxurious, heavy weight piece with a diameter of 22mm and an 18 inch medium weight snake chain. Care guidance will be included with your purchase of this design in silver, however, it is important to avoid spraying perfume or chemicals directly onto the oxidised silver mountains and to avoid wearing this necklace while showering or bathing and to avoid dipping it in any solutions. 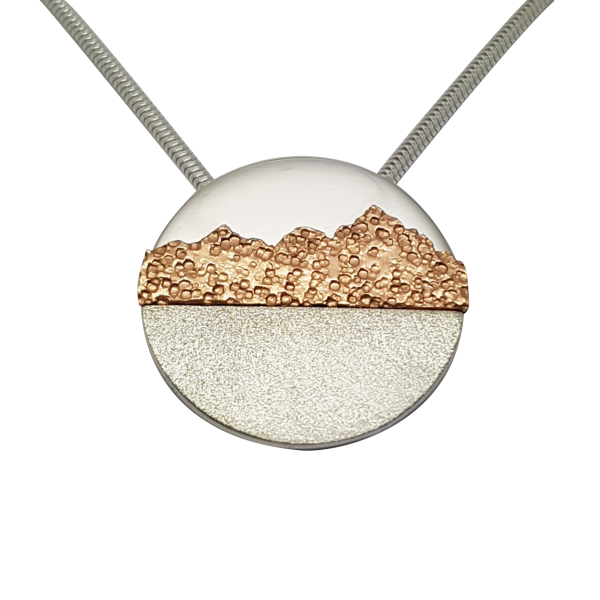 I love the Isle of Skye and this pendant shows a beautiful view of the Cuillin Mountains from the sea. Absolutely stunning piece of jewellery.